I noticed this plant scrambling along a fence on one of the main roads in the town. 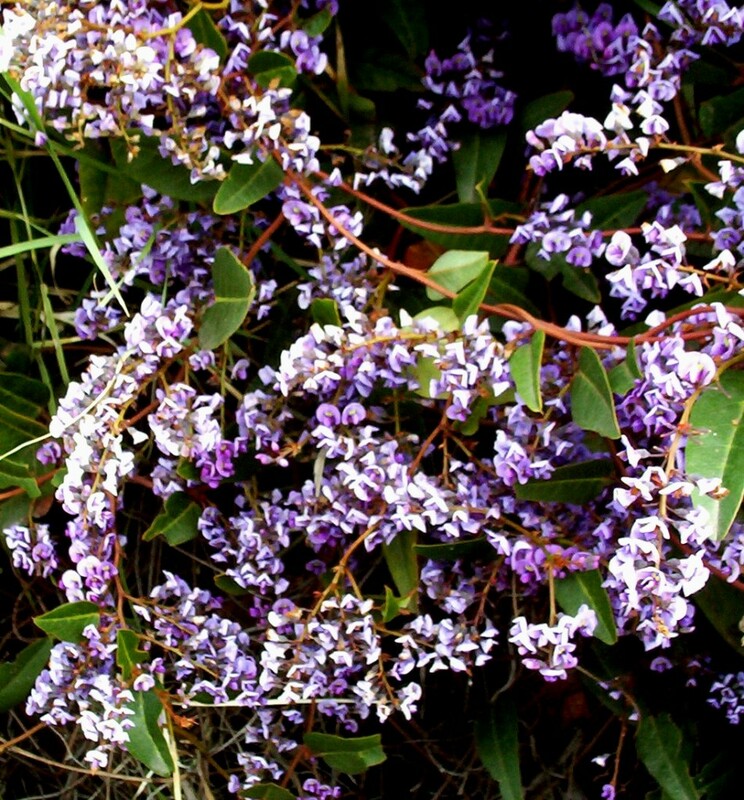 This particular form of Hardenbergia also makes a great plant for a ground cover or draped down an embankment. It is a very hardy plant which is perennial and should be trimmed back to the new shoots after flowering. If seed is to be collected, it is a good idea to let a few sprays remain on the plant to set seed and mature and to be cut back later. Cuttings of good forms work well too, using the new growth. When a plant is as dense as this one is, some hedge clippers would probably do the pruning very well. Although the flowering time is limited to about 2 months at the most, the creeper on the fence stays green and dense for the rest of the year. There are white and pink forms of this plant. The pink is particularly pretty but does not seem to be as robust as the others. Will the hardenbergia grow close to coast (sea breezes and salt spray)???? ?